Writing/co-writing some of the biggest rock songs in history, including “Don’t Stop Believin’,” which is the No. 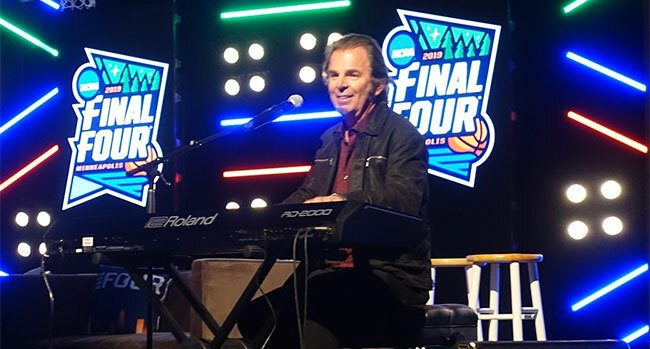 1 digital catalog rock song, as well as mega hits such as “Faithfully,” “Open Arms,” “Separate Ways,” “Who’s Crying Now” and many more, Rock & Roll Hall Of Fame inductee and Journey member Jonathan Cain is also a fan of college basketball and was inspired by the sport to write the new song, “What It Takes To Win.” He debuted the song live last week at the NCAA Final Four tournament in Minneapolis and is giving away the track to basketball and Rock ‘n Roll fans who sign up for it at his website. Cain is also readying his fourth new solo album in as many years, More Like Jesus, which releases May 3rd from Identity Records with The Fuel Music distribution. Billboard broke the story around Cain’s anticipated, 15 song album and premiered the track “Kingdom Come Down” as the iconic artist continues to press into his faith with inspired new music. Along with the new music, Cain released his Rolling Stone-lauded, Publishers Weekly-bestselling book, Don’t Stop Believin’: The Man, the Band, and the Song that Inspired Generations, and has become a sought-after speaker. Featured recently at the Prestonwood Men’s Conference in Plano, TX alongside MLB World Series Champion Darryl Strawberry, he will be further featured along with men like Heavyweight Champion Evander Holyfield at the Better Man Event being held April 13th at the UCF CFE Arena in Orlando, FL.